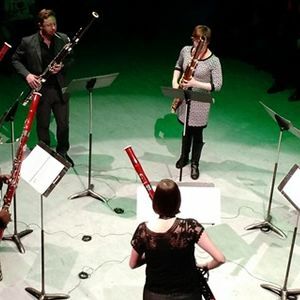 Thursday, June 6, 2019 4 p.m.
Forest Music returns to the Arboretum with the NewBassoon Institute. Musicians from Chestertown's National Music Festival will present a unique improvisatory performance in the forest. These innovative musicians will repond to one another's playing in a music conversation that winds through the trees. A brief concert will follow at the Visitor's Center. Light refreshments served; cash wine and beer bar.